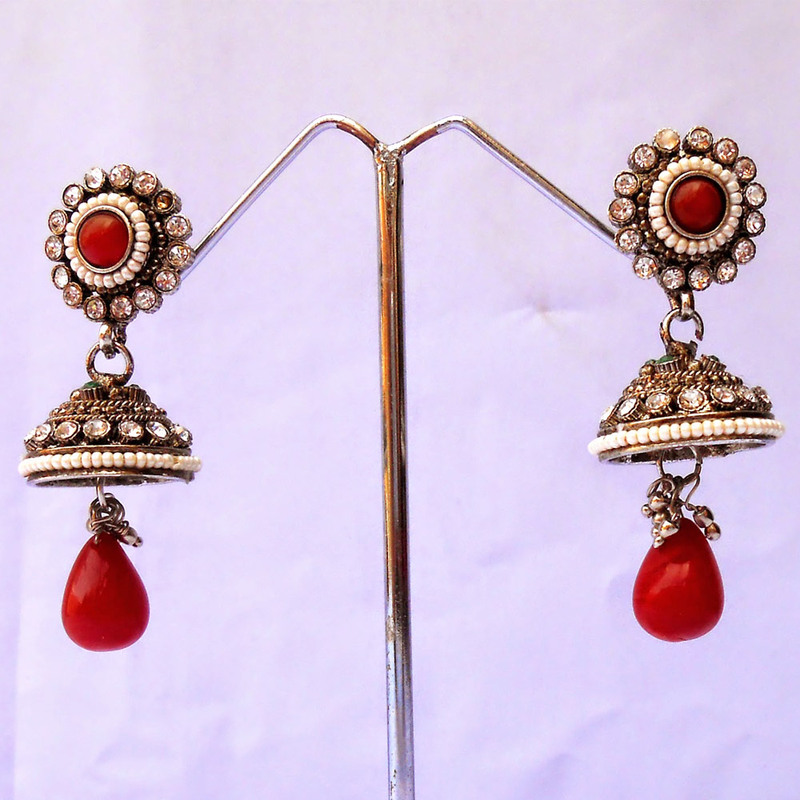 The giant red stone set in the middle of the stub on this pair of metal based red jhumka earrings enjoys nice contrast in the Read More..form of white beads circling it in a row. Tiny white stones stud the periphery of the upper portion while they are also present in generous numbers on the jhumka segment along with beads. Moreover, the teardrop shaped red gem hanging from the brass metal casing of the jhumka adds to its overall beauty. Finally, the antique polish makes the metallic casing of this pair of earrings look classy and appealing. Show Less..